One of Wales’ top Michelin star chefs, Chris Harrod, triumphed over his competitors in Great British Menu when he won the heat to go through to represent Wales in next month’s final. His stand out dishes are now featuring on The Whitebrook menu. Chris, who was awarded a coveted 10/10 for his suckling pig by notoriously tough critic, chef Paul Ainsworth is now in with a chance of taking one of his dishes to the Great British Menu banquet at Great Hall of St Bartholomew’s Hospital which will thank NHS heroes from around the country. “The skill and execution of what I saw you cook today was phenomenal. I’ve got goose pimples telling you that right now… it was absolutely delicious… absolute perfection and that’s not a word that I say easily.” – Great British Menu judge and Michelin star chef Paul Ainsworth. 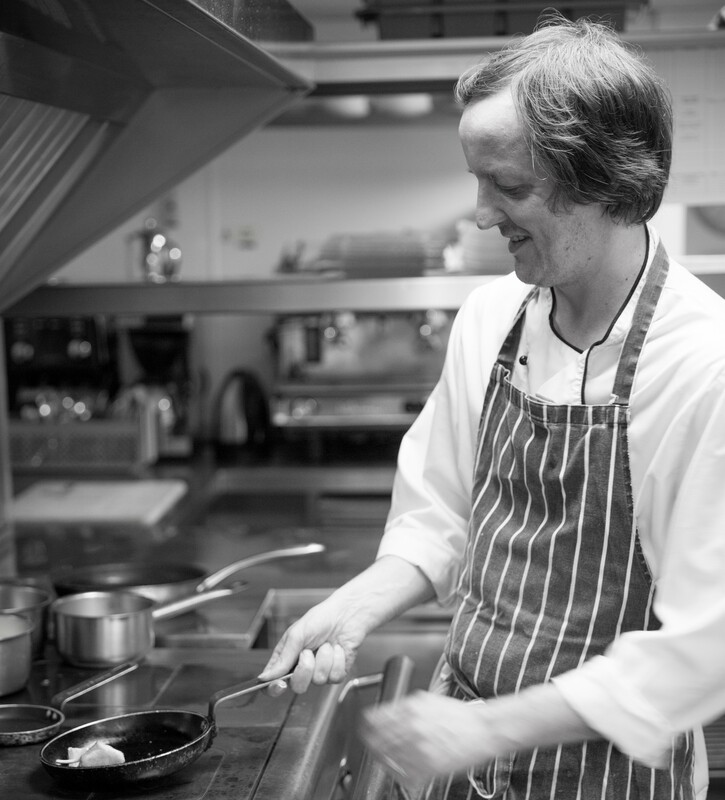 Chris is one of 8 chefs competing from Monday 8th October to be part of the very special event in honour of the NHS’s 70th anniversary. Plus, one outstanding chef will be also be crowned the champion of champions when banquet diners vote on their favourite dish in the final episode. Chris, who won a Michelin star within 11 months of launching his restaurant has been doing Wales proud by showcasing some of the abundant produce available in the region where The Whitebrook is nestled in the rural backdrop of the Wye Valley. Famed for using the countryside as his larder, Chris forages locally, sources almost everything else from his doorstep and his cooking has been described as ‘the Wye Valley on a plate’.